Hi, I require a complete house clearance in Amble, Northumberland for a 2 up 2 down terrace house on Friday/Saturday this week. This would need to include carpets and curtains and is quite untidy. 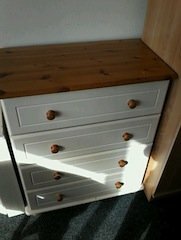 Can you help and can you give me an estimated cost please? 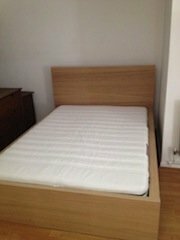 A large solid pine double bed frame, together with a white spring double mattress. 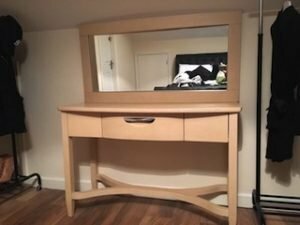 A solid pine vanity dresser and matching large wall mirror. 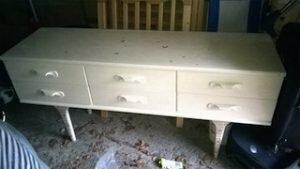 A large solid pine chest of drawers, painted white, having four large drawers with round knobs. 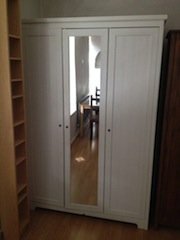 A tall standing white solid wood triple wardrobe, having a large full mirror to the middle door. 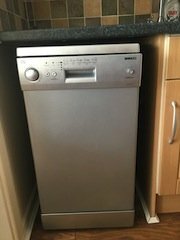 A silver under counter Beko slimline dishwasher. 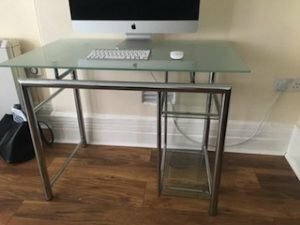 A silver flat screen Apple Mac computer, keyboard and mouse, together with a chrome and frosted glass desk. 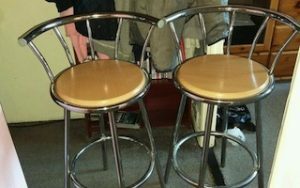 A pair of chrome rounded back breakfast bar stools, with circular drop in pine seats. 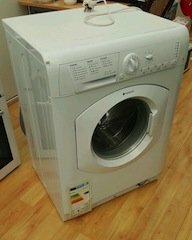 A white under counter Hotpoint 721, 1200 spin 8kg washing machine. 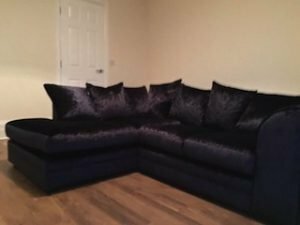 A four seater low back left hand corner sofa, upholstered in shiny black velour. A solid pine oval dining table, together with three matching curved back dining chairs. A hand painted white solid oak unit, having a large drawer above a double cupboard and another drawer. A tall standing solid pine bureau dresser, having double doors enclosing three shelves, above a pull down desk and a single drawer. A vintage tall standing solid mahogany chest of drawers, having five long brass handled drawers. 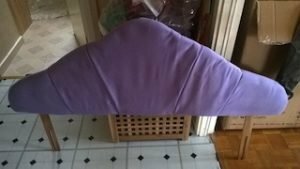 A large triangle shaped double bed headboard, upholstered in light purple cotton. A Daewoo tall standing black high gloss, double door fridge freezer. A vintage kitsch white solid wood sideboard, having six drawers of equal size, on long tapering legs.